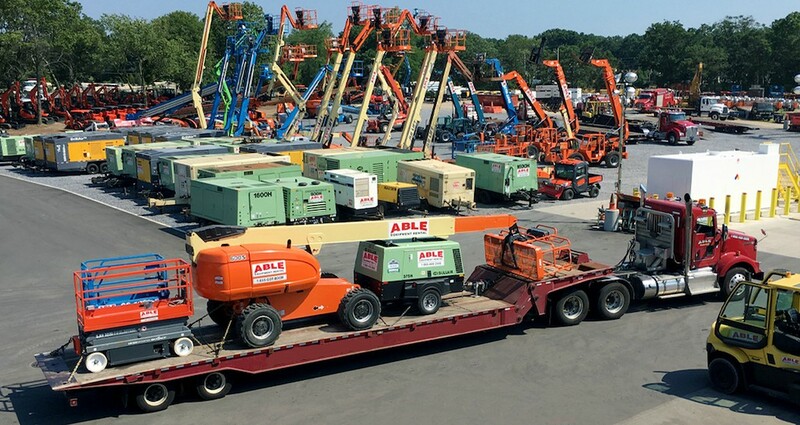 Serving the northeast since 1996, ABLE Equipment Rental is a leader in the construction equipment business. We offer products for sale or rental, plus parts, service and customized finance options. ABLE is fully committed to delivering equipment on time in exceptional working condition. We provide equipment transportation, on-site maintenance, and equipment refurbishment to Metro NY, NJ, CT, PA, DE and MD area contractors, municipalities, industrial facility owners, and riggers. ABLE Equipment Rental is an authorized leader for sales, service, parts, and inspections for major industry brands including - JCB, JLG, Genie, Manitou, Kubota, JCB, Dieci, Kaeser, Atlas Copco, Sullair, Skyjack, Multiquip, Wanco, JMG, Jekko, ReachMaster, Maeda, Bailey, Broderson, Toyota, plus more. Excellent staff and very well maintained equipment.